I used to be a pretty good artist. You wouldn't know it because I haven't really drawn consistently for many years. In college I took a lot of life-drawing, a class I really enjoyed mostly because I found it relaxing and I was not so bad at it. When I'm not in a class I don't draw all that much unless I'm asked or challenged to. It's one of my worst procrastinations. A few years back I signed up for another class and that seemed to get me drawing again, but the only other time I've done it was when I drew Chad when he challenged me not too long ago. 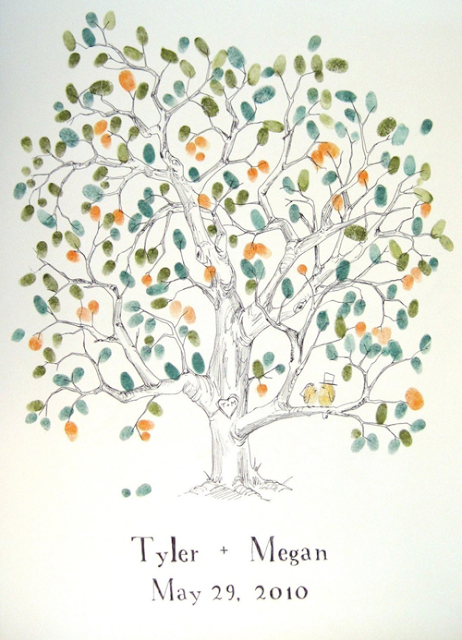 A family friend asked me if I would draw a tree for a thumb-print guestbook that she wanted for her daughters wedding. I know I can draw a tree without leaves (the leaves are the guest's thumbprints) so I bit at the challenge. As we discussed details she mentioned they would also like some bikes to be leaning against the tree. The original picture had birds, but she thought the bikes better represented them. how to start when you have such a beautiful and untarnished piece of paper!!! Oh crap. Bikes are way tougher to draw than little birds!!! Oh well, I can take on this challenge! So here I go! Today I received the paper that they picked out. I think the bike is coming along swimmingly. Only problem - I've only drawn one bike! What about the other one??! I think having both leaning against each other is a bit too difficult with all the parts so I'm thinking I'm going to put it in the grass. I couldn't find a good enough example online that gave the angle I need. I'm finding the wheels are the toughest part so far. Who knows - maybe this will look so good that I can start selling them on Etsy or even create one for my own wedding. Wish me luck! More to come soon!